Kentucky bourbon pie is made with Kentucky bourbon plus nuts and chocolate. Serve it with a big scoop of ice cream for a real treat. A great recipe to serve for the Kentucky Derby or just anytime. If you like chocolate, you will love this Kentucky bourbon pie. 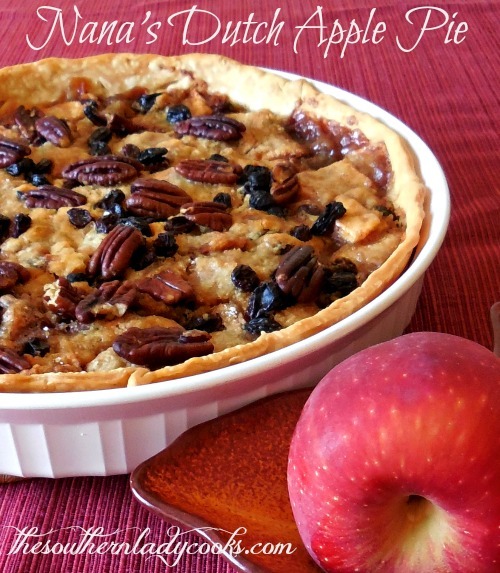 This pie goes well with coffee and your family and friends will praise you for making this recipe. There is rarely any left when I make this pie. Kentucky bourbon pie is great for any holiday or gathering. You might also like my raisin fudge made with bourbon. The Kentucky Derby is one of our favorite times of the year and we always make our favorite Kentucky recipes and pig out while watching the race. Just type “Kentucky” in the search box on any page of this website to see other Kentucky recipes you might enjoy making and sharing with friends and family. I nearly always use pecans in this pie but you can use walnuts, too. If you don’t use alcohol, try it and leave the alcohol out of the recipe. If you have any leftover, it heats well in the microwave. Mix sugar, flour, eggs, butter, vanilla and bourbon with a wire whisk in a bowl. Add chocolate chips and walnuts. Pour into pie shell. Bake in preheated 350 degree oven 35 to 40 minutes. Remove from oven, let cool and serve. Enjoy! Note: This pie will rise up while cooking and once it starts to cool it will settle. 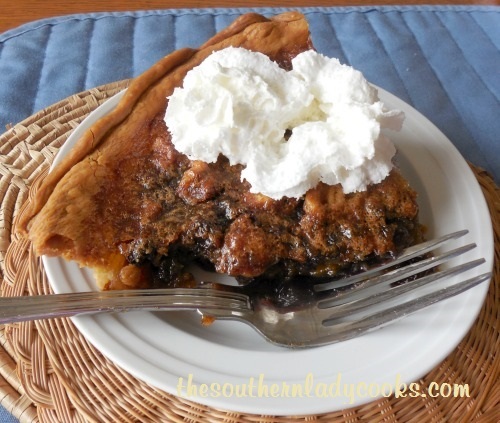 Don’t Forget to Pin Kentucky Chocolate Chip Bourbon Pie! 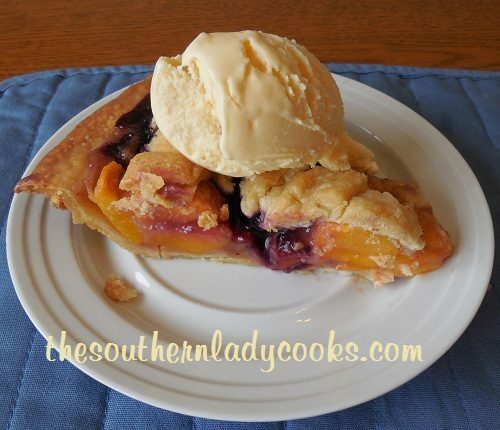 Question, do you bake the frozen pie crust first or just pour everything into the frozen crust and bake? If you are using a Pillsbury frozen crust they come rolled up and frozen. You let the crust defrost according to the box instructions, then roll out the crust and put in your pie pan. Put in the filling and bake. If it is a frozen crust that comes in a pan frozen, you just pour in everything and bake. The Pillsbury frozen crusts that are rolled up when you buy them are more like a homemade crust than the ones you buy in a round tin pan. My husband loves pie! And bourbon! I made this today, so easy and I gave him a piece – he was thrilled! Thank you! You are so welcome, Dorothy. So happy your hubby liked the pie. Thank you for letting me know. Happy to have you on the site. Your recipe doesn’t use Corn syrup? I guess the egg and sugar make what keeps it all together? Yes, that is correct, Mimi. Love…love….love…..did I mention I love some Derby Pie! I don’t even need the ice cream. Looks divine. My mouth is watering. I so want to try this pie. 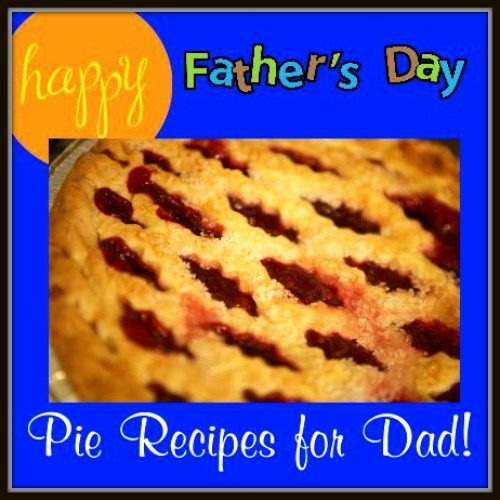 I agree…a great pie for Derby Day or any day that you want something delicious.